CR80News was a cosponsor once again for the Advanced Cards Seminar put on by NACAS and NACCU in May. I participated in several sessions and panel discussions and had a great opportunity to take the temperature of many campus card administrators. Did anything surprise me? Yes, very definitely. I was amazed to see the level of emphasis that the campus participants are placing on off-campus merchant acceptance of their cards. This is not exactly a new phenomenon. 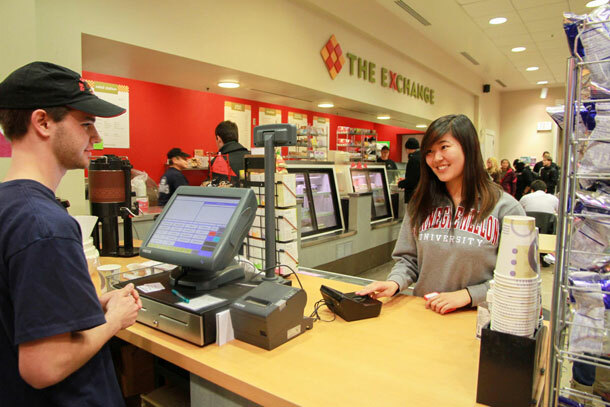 Campuses have been enabling merchant acceptance of campus-issued debit cards for years. But it has been an exception rather than a rule. Only the most established programs were doing it. For most, the argument went something like this: “once I have tackled all the on-campus needs then maybe I will consider testing an off-campus program.” Vendors often pushed campuses to consider off-campus programs, but it has always been a tricky thing. Sure the allure of new revenue streams and tales of pizza vendors paying 18% of sales to the campus in exchange for exclusive deals have always left bootstrapped card programs salivating. But the majority knew this was unrealistic in most environments. But at the meeting in Sanibel Island last month, I witnessed a massive movement off campus. I co-presented a session on market trends with Ron Pierce, executive director of NACCU. Mr. Pierce asked the audience to rank in priority order a series of items related to their card programs. The discussion revealed a strong need for revenue generation, which perhaps explains this surging interest in merchant programs. A panel discussion dedicated to off-campus card usage received significant interest from attendees. Three participants described their experience building off-campus programs–the first with a bank partner, the second with an off-campus marketing partner, and the third with a total self-operated effort. It was a great way to juxtapose the different options facing campuses today. The decision between these options boils down, in its simplest terms, to a trade-off between revenue and effort. Taking a card off-campus with a banking partner takes the least amount of effort from card office staff (this is not to discount the effort required to find and secure a banking partner!) But it results in the smallest revenue share to the campus from merchant transactions conducted via the campus card. In the middle of the equation, is the use of a marketing partner (e.g. Student Advantage, Blackboard’s new BBOne product, General Meters’ 1 Card Advantage) in which the vendor acquires merchants, markets, and operates the program in exchange for a share of the revenues created from the transactions. This requires a mid-level amount of effort from the campus and the financial returns are also likely to fall in the mid-range. Campuses seeking the highest revenues will need to put forth the highest level of effort. Self-creating and operating an off-campus program can take a great deal of work but it should bring the highest percentage of revenue in return. In general, the campus will keep the entire negotiated merchant fees as they are the only player in the equation. Don’t underestimate, however, the volume of effort required to build and maintain such a program. Marketing, education, point-of-sale terminal deployment and maintenance, settlement with merchants, and general customer support are only a few of the responsibilities of a self-operated program. So while we all could benefit from the new revenue streams created by off-campus merchant acceptance of a card program, be cautious not to overestimate your financial gains or underestimate the volume of work that will be required of card office staff.